When Pope Francis touched down at Kennedy Airport, 12-year-old Julia Bruzzese was there to greet him. Sitting in her wheelchair, the pontiff put his hand on her forehead and blessed her. And a miracle of sorts did happen, at least, in her opinion. Dr. Ronald Stram in upstate Delmar, just outside Albany, was watching Julia and reached out to her family because he believed he could help. It was in June of this year that Julia, who was once vibrant and athletic, suddenly was unable to walk. A few specialists believed she had Lyme disease, but her blood tests didn't support that. But Stram believed he could help her. Julia has been treated for a month and a half now, traveling from her Brooklyn home to Stram's office in Delmar. Three days a week, she receives antibiotics and nutrients intravenously. She believes she’s getting better. “I’m starting to feel the bottom of my feet and wiggle my toes more," she said. 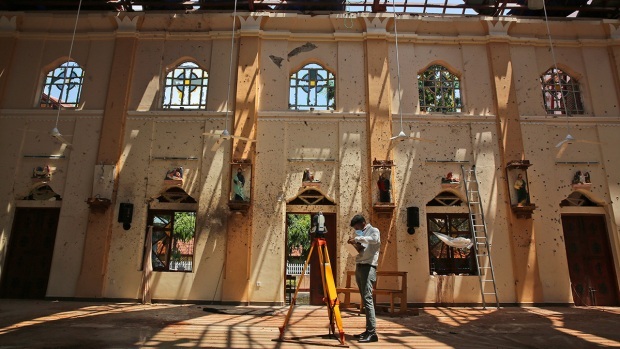 "The miracle is coming and the pope made it happen." But the young girl’s treatment might be cut short as she finds herself in the middle of an ongoing controversy. The CDC estimates 300,000 people get Lyme disease a year in America. Ninety-six percent of the cases are reported from just 14 states, including New York, New Jersey, and Connecticut. There is great disagreement on its diagnosis and treatment. Bruzzese's insurance company, Emblem Health, has denied them coverage because Julia’s tests have come up "negative for Lyme disease." Emblem Health, like most other insurance companies, refer to guidelines established by medical associations like the Infectious Diseases Society of America to determine when treatment is appropriate. Dr. Gary Wormser of Westchester Medical Center is a lead author of guidelines for treating Lyme. Wormser has not studied Julia's case but stands by the theory that she should have at least a minimum presence of Lyme antibodies. 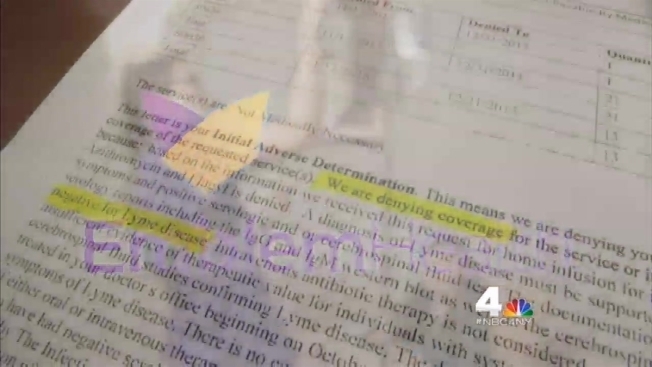 Stram showed NBC 4 New York Julia’s blood work, which shows some evidence of Lyme, but not enough to be covered by her insurance company. In 2008, Connecticut’s then-Attorney General Richard Blumenthal uncovered serious flaws with the Infectious Diseases Society of America's process for writing Lyme guidelines, saying the panel "improperly ignored or minimized consideration of alternative medical opinion and evidence regarding chronic Lyme disease." The society was ordered to review their guidelines. Lyme disease is often called the “great imitator” because it can look like so many other diseases, which is the problem Julia faced. "We tested for everything else, spinal taps, you don't know how many MRIs," she said. "I knew something was wrong with me." When tests didn't point to any specific ailment, doctors suggested psychiatric testing. Emblem did offer to pay for a pic line -- a medical device that will make it easier for Julia to receive IV medicine -- but the cost of the antibiotics will not be covered and that could amount to more than $500 a week.